Want a T-shirt with that? Fresh from our friends at The People's Cube: A new line of apparel and desk stuff in support of Defense Secretary Donald Rumsfeld. To buy some Rummy shirts for the spring season, click here. If the President is considering Torie Clarke to become his White House spokesman, he should ask her the following question: "Were you or were you not the anonymous leaker behind the February 19, 2002 New York Times story that sabotaged the Defense Department's post-911 strategic influence effort against al Qaeda?" Waging a turf battle over an issue she didn't even understand, Clarke deliberately sabotaged a sensitive military influence program designed to fight the "war of ideas" in the terrorist heartland. A disloyal team member, she was the secret leaker to the New York Times to shut down the Office of Strategic Influence (OSI), in February 2002. Reporters James Dao and Eric Schmitt quoted her as if she were two separate people: sometimes as an anonymous "senior Pentagon official" with the damaging quotes, and other times by name as the official Pentagon spokeswoman expressing concern about the issue. She never tried to defend the hearts-and-minds activity. Then, using her power as Assistant Secretary of Defense for Public Affairs, Clarke forbade OSI officials from speaking to the press to defend the program. She lied when she implied that OSI was going to use disinformation against the press. Using disinformation was strictly against OSI - and Pentagon - policy; disinformation wasn't needed when we had the truth on our side, and from a practical standpoint, disinformation is counterproductive because, once exposed, it would compromise the war effort. An audit of all OSI papers and electronic memoranda requested by Senator Carl Levin exonerated OSI of the disinformation allegation. The DoD Inspector General found OSI had done nothing wrong. The only disinformation in the OSI issue was Clarke's own misleading and untruthful statements to the New York Times to wage her turf war. Clarke failed to defend her department, her boss, and the president. She purposely allowed the controversy to spin so far out of control - timed over a three-day weekend when President Bush and Defense Secretary Rumsfeld were out of Washington - that OSI was permanently crippled and had to be shut down. 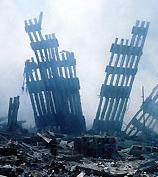 The net effect of the controversy was to make "influence" a dirty word in the war on terror, and effectively to remove lifesaving strategic influence from the American arsenal. How many American lives were lost because of her cat fight? And now, four years later, the president is still wondering why the US isn't winning the war of ideas - and possibly considering Clarke to be his spokeswoman. 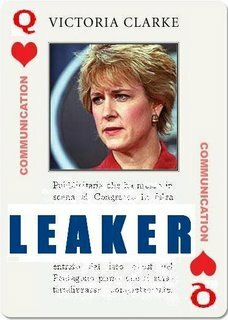 President Bush and White House Chief of Staff Joshua Bolten should ask Torie Clarke: Were you or were you not the anonymous leaker behind the February 19, 2002 New York Times story that sabotaged the Office of Strategic Influence? Italian Muslims claim they mobilized the votes to defeat Prime Minister Silvio Berlusconi. They joined forces with Italy's substantial communist voting bloc to change the majority in the Chamber of Deputies and remove Berlusconi from power. The margin was slim: just over 25,000 votes. The head of Italy's largest Islamic organization said that until the current vote, Muslims had not voted as a large bloc. Union of Islamic Communities in Italy (UCOII) leader Hamza Piccardo said, "Today things have changed: Apart from our indication to vote for the Party of Italian Communists of Oliviero Diliberto, an important aspect was the presence of several [Muslim] candidates in parties within the Union coalition, notably Khaled Fouad Allam for the Daisy and Ali Rashid for the Refounded Communist Party." The Chavez dictatorship in Venezuela is bent on picking a fight with the United States, confident that the US is hamstrung by its dependence on Venezuelan oil. Venezuela's state-controlled oil monopoly, PDVSA, is one of the largest oil suppliers to the US, and owns the Tulsa-based fuel giant Citgo. Chavez has turned what his regime calls "the new PDVSA" into an engine of his subversive network of violent revolutionary movements. Citgo has become a funding mechanism for the regime to consolidate its control of the country and fuel interests around the world that are hostile to the United States and its allies. The United States should prepare to nationalize Citgo, taking care to ensure the property rights of the American owners of Citgo gas station franchises. It should then privatize the company to American investors, and use the proceeds to combat the dictatorship in Venezuela and its friends in neighboring countries. Fox News picked up on this blogger's Center for Security Policy paper, "Mexico's Glass House," and featured it on Your World with Neil Cavuto and the O'Reilly Factor. 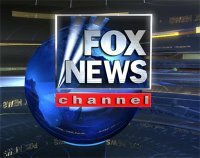 On Cavuto's live program on April 7, substitute host David Asman and I had a spirited conversation about how the Mexican constitution and law treat immigrants as second-class citizens, denying them freedom of speech and assembly, and discriminating against them for employment. Bill O'Reilly and I had a similar conversation on his April 10 edition of the Factor. A link to "Mexico's Glass House," a study of the Mexican constitution's immigration provisions, appears in a post below. For a link to my summary of Mexico's main law on immigration, click here. Take a look at one of the organizers of the April 10 illegal immigration protests: Mexicans Without Borders. This is not a joke. The Washington Post reports on April 8 that Mexicans Without Borders has ordered 63 buses to transport protesters to the Mall in Washington, DC. The group expects to bring in at least 3,500 demonstrators. Socialism and Liberation reveals the interlocking directorates that help make such protests so large and successful: Mexicans Without Borders leader Macrina Cárdenas is on the steering committee of ANSWER. For those who get their boxers bunched about whether immigrants from south of the border should speak English if they want to stay here: In Mexico, Spanish is the official legal language. The website of the Mexican presidency says it officially: "El idioma oficial de México es el español y cuenta con más de 66 lenguas amerindias." That's Spanish for, "The official language of Mexico is Spanish, and is among more than 66 amerindian languages." Under Mexican law, it is a felony to be an illegal alien. Illegal immigration into Mexico is a crime punishable by up to two years in prison. Mexico's legal system is different from that of the United States, but is a combination of American constitutional law theory civil system, and its punishment of criminals is generally more lenient than in the US. Which makes it all the more significant that Mexico considers illegal immigration into the country to be so serious that it is a felony. Mexico prefers not to burden its prison system with illegal aliens, so it prefers to deport those illegally in the country. Another good idea from our neighbors south of the border. Every country has the right and duty to restrict the quality and quantity of foreign immigrants entering or living within its borders. If American policymakers are looking for legal models on which to base new laws restricting immigration and expelling foreign lawbreakers, they have a handy guide: the Mexican constitution. For an item-by-item look at the Mexican constitution as it relates to immigration and naturalization, see my paper, "Mexico's Glass House," published by the Center for Security Policy.